Some reactions to Apple product announcements follow a pattern. Breaking with tradition, the Macalope is here to link to a piece that he likes rather than one that has him banging his antlers against his desk. Poor desk. It never did anything. It deserves a day off. Jonathan Kim noticed the same thing the Macalope did about The Verge's Vlad Savov's evolving opinion on Airpods. Yes, just like rockets, pundit opinions can have stages. And both can fail in extravagant and embarrassing explosions. Kim’s three stages are Anger, which comes after the product is announced and pundits just know they hate it, Blaming the “Victims,” when the product’s success is the fault of those dumb Apple fans, and Acceptance, wherein the pundit realizes, hey, this product is actually good. 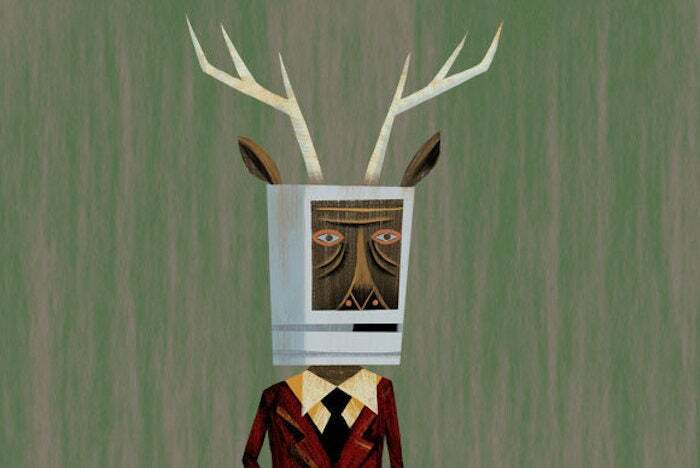 The Macalope also made note of Savov’s change of heart about the AirPods and both he and Kim give him credit for admitting he was wrong. But Kim is right about this pattern being a Thing with pundits. And not an adorable and helpful severed hand kind of Thing but more like an insidious alien bacteria that can appear as anyone and replace you cell by cell kind of thing and, oh, god, now it’s an upside-down head walking around on spider legs kind of Thing. The societal impacts of technologies never seem to come up when Samsung or LG or Huawei (which U.S. intelligence agencies worry may literally be spying for the Chinese government) implements something. It only happens when Apple, the company that actually cares more about the privacy of its customers, does. Call this the Schrödinger’s Crap paradox, where a company can be chastised for not having invented something but still take all the blame for it. Apple is obviously not a perfect company, and they should not only be held accountable for their mistakes and poor decisions, they should be held to the highest standards possible since, as the world’s leading tech company, what they do has an outsized effect on the entire industry and can set the tone for how all tech companies should behave. However, when criticism of Apple and its products becomes hyperbolic, raging, closed-minded, and involves stereotyping and insulting tens of millions of Apple customers, it may get more clicks, but it doesn’t improve Apple products or make Apple a better company.